Nigella Oil is also known as black seed oil or black cumin oil. The oil has many healing properties for the skin. Suitable for dry, sensitive or irritated skin. Nigella Oil is ideal for daily facial and body care. The oil can be processed or made into a facemask to refresh and nourish the skin. The oil is also very suitable as a hair oil product and makes the hair healthy and shiny. Oil Nigella/ black cumin oil has a distinct and very character specific odor. The oil comes in a glass bottle with a pipet so you can measure the quantity allowing you to get the maximum use of the oil making it last longer. Ingredient: Nigella Oil / Black Kummel Oil (Nigella Sativa - cold pressed). Nigella has been used for over 2500 years as a remedy for many ailments. It is the only ingredient in this 100% natural oil. It was already been used in ancient Egypt, it is now known as the oil of the Pharaohs. The oil has many healing properties for the skin, in particular for dry, sensitive or irritated skin. Nigella Oil is ideal for daily facial and body care. 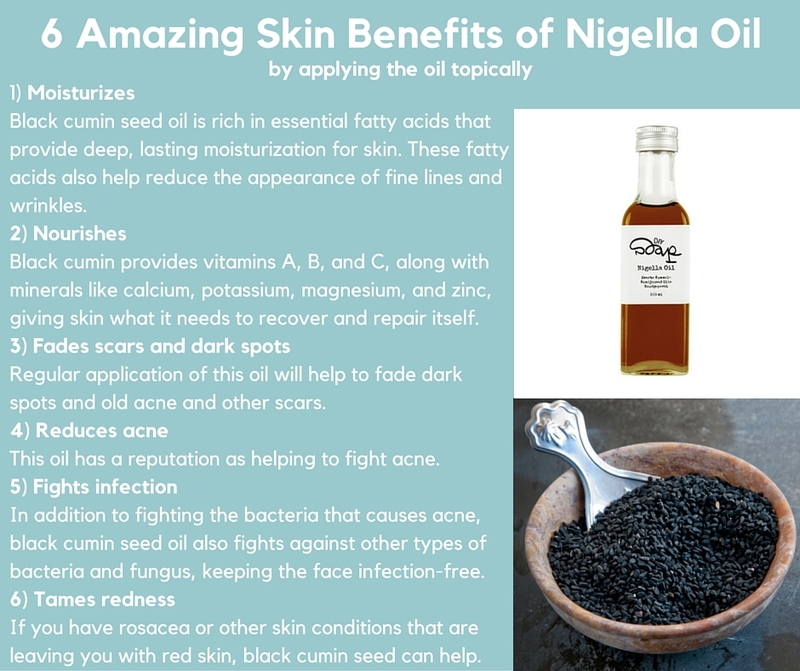 Nigella oil has a calming effect on troubled skin. It helps restore the skin and soothes sensitive skin. The oil can be made into a facemask to refresh the skin and nourish your skin cells. The oil is also very suitable as hair oil and makes hair healthy and shiny. Oil Nigella / black cumin oil has a characteristic specific odor. Tip: Have a headache? Gently massage a few drops of Nigella oil on the forehead and temples.